Most, if not all of us are familiar with Murphy’s Law that “anything that can go wrong, will.” This seems to especially be the case when it comes to office equipment and deadlines. It’s almost as if the office equipment is sentient and knows that you and your colleagues have pressing needs, like midterm exams to print out, when they decide to jam and flash those maintenance codes that you can barely comprehend. Struggling with office equipment when problems arise can be incredibly frustrating. This is especially the case as we move forward, deeper and deeper into an age of information technology (IT) that is driven by more tech than ever. Even the handiest of office workers will feel like reverting back to their prehistoric nature and stare blankly at out-of-order office equipment while fighting back the urge to bang on it until it works again. Trust, we have all been there and we have all wanted out Office Space moment with the copy machine. What’s worse is calling a technician to come out to your office and service your office equipment and finding out they won’t be able to come in for another business day. While you wait on your equipment to be repaired, you’re wasting time and everybody knows that time is money. At ANAX, we offer services geared towards office equipment repairs and maintenance that will keep your office equipment running properly so you can spend less time stressing over error-messages and more time making your service, product, or business the best one out there. You’ll be so happy with ANAX that you won’t need to spend any time searching the web or waiting on repair companies in the future because ANAX will be your first call, every time. On average, ANAX has a same day response time of three-hours. This means that you can get back to work sooner and know with confidence that your office equipment is going to run perfectly. Set Up A Visit From One Of Our Specialists Today! We understand that your time is valuable to you and to your employees. Allow us to help save you both time and money by letting us keep our office equipment running smoothly. Contact us today! In order to begin to understand why network security is so important to your business, it’s essential to have a basic understanding of what network security even is. Simply put, it is the collection of precautions and safety measures taken to ensure the privacy of your online database, or your IT infrastructure. Network security measures can be as common as utilizing a password for your computer or your website, to installing firewalls and anti-virus software (and regularly maintaining these). Most people are familiar with computer viruses and malware, and might be capable of putting these safeguards in place for themselves, however, when it comes to providing or sourcing network security for an entire business, the task can get overwhelming. Though network security is essential for everyone to maintain their privacy and safety online, there are certain scenarios where it takes even more priority than usual. When customers’ payment is involved, or clients’ personal information is stored in your database, it is crucial to make sure that your network is entirely secure. Sensitive information should be protected, and as a business, it is reflective on your brand character how well you complete this task. In addition to the protection of your customers and clients, quality network security provides peace of mind to the business itself by preventing data loss and avoiding potential legal headaches. Network security also blocks possible disruptions in the flow of business, and keeps your company running as smoothly as possible. How Can ANAX Solve Your Network Security Issues? How do you know if your network security is up to par for your business? Do you even have network security, and is it functioning properly? These are not questions that you want to leave unanswered, as the answers can make or break your business. 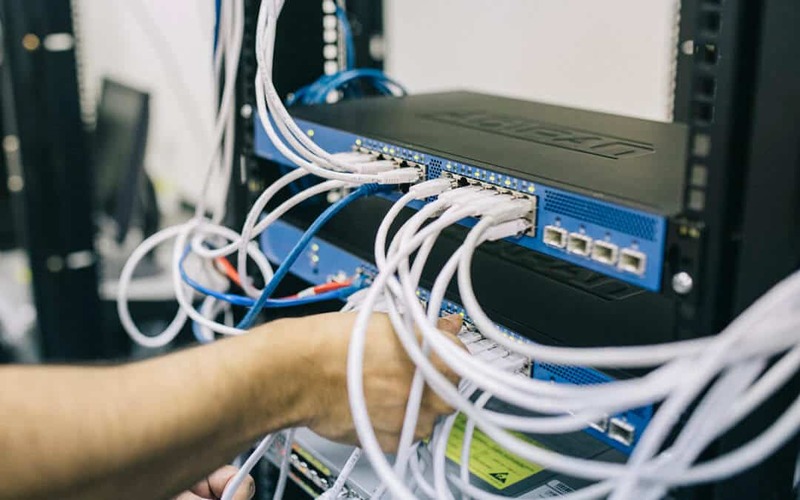 If you’re unsure of where your network security standards are set, and you want to make sure that you are set up for success, contact ANAX and let us handle it for you! Our experienced technicians can evaluate your company and determine the best network security solutions for you. Take the next step towards a more secure future today! If you’re a business owner, you most likely have a lot of people who rely on you and your company. We live in an increasingly digital reliant age of business, where most small to mid-size businesses can compete at the scale of their larger counterparts. BUT, the affect of downtime hits hard on businesses both large and small. So, the question is, how would you business handle a network outage or loss of internet? Naturally, the first problem that a network crash presents is the total lack of productivity it will cause your business. After all, your staff likely relies on the network in order to access materials and resources they need in order to do their jobs. Without access, they’re left without the means to generate revenue for your business. Meanwhile, they are still contractually entitled to receive their salary for their time at work. This, combined with your operational costs, means that your cash flow during a network crash dips into the red. A crash can also lead to data loss, and seeing as your data is one of the most valuable assets to your business operations, data loss isn’t something that can be shrugged off, as we’ve discussed before. Unfortunately, there can be numerous causes to a network crash. Fortunately, each can be somewhat easily mitigated with the proper foresight and maintenance. There’s a reason we always say to double-check if your systems can handle an update before you install it. Compatibility issues between your solutions can occur if you aren’t careful about which updates you choose to install, and you might wind up with an internal configuration conflict or worse. To avoid this, make sure you always have a trusted IT professional evaluate your solutions and the proposed update to make sure that you won’t run into any unexpected complications. Any disruption of power to your server can lead to a crash, regardless of whether a lightning strike caused a power surge or someone tripped over the wrong cable. However, these kinds of issues can largely be avoided by utilizing an reliable power supply and practicing proper cable management. Or, in other words, the state of your server room. 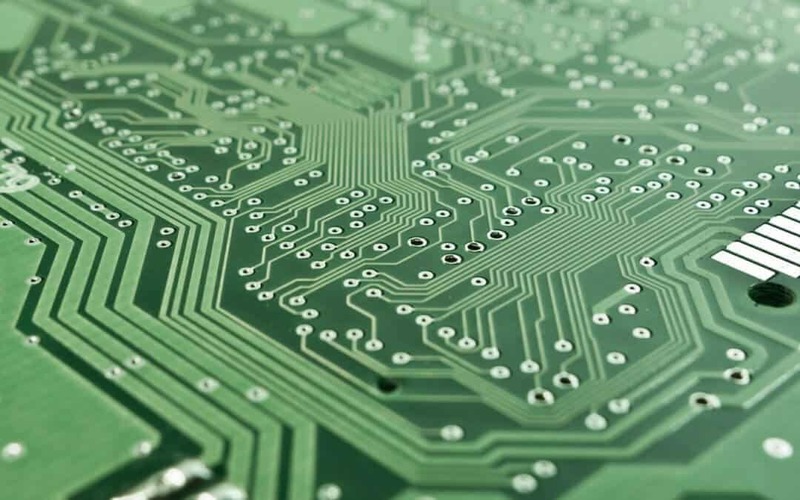 In order to function properly, your IT needs its environment to be cool and clean. Excessive heat can interfere with its operation, so the room needs to be well-ventilated and as climate-controlled as possible. Heating issues are also why your components need to be kept clean. Built-up dust can prevent heat from escaping, allowing it to build up and damage your systems. Sometimes, things just break. Whether a component has simply gotten too old and worn out, or you just so happened to get a lemon, if it doesn’t work properly, your network will crash. Have a plan! Be sure you have quality Firewall to ward off any skeezy hackers, back up your important documents in The Cloud, and have a ready list of phone numbers to call for help! Knowing who you need to contact will shave valuable minutes, even hours, off of the IT disaster. To help you get started on your list, the phone number to reach ANAX for all your IT Services and Solutions is 702.478.9000. Now, go prepare! You worked extremely hard to get in this professional position … don’t cut corners when it comes to your office equipment. ANAX is affiliated with top-performing brands like Toshiba and Ellumina: ANAX even provides quality office equipment support and maintenance for these brands. Your office will be running like a paper-jam-free, well-inked copy machine in no time! Slowly inhale through your nose and exhale out your mouth. With ANAX on your side, you don’t need to worry about IT mishaps. You can rest easy knowing that your IT solution is a phone call away … only ten little numbers to push for professional, quality assistance. Now, you can focus your time and energy on other business aspects … like your sanity! With ANAX managed IT services, you’ve always got a partner on your side. Call us (702) 478-9000 or message us HERE to schedule a consultation today! Can You Afford Extended Downtime? We live in an increasingly digital reliant age of business, where most small to mid-size businesses can compete at the scale of their larger counterparts. BUT, the affect of downtime hits hard on businesses both large and small. So, the question is, how would you business handle a network outage or loss of internet? “It’s clear that many organizations settle for sub-optimal network management solutions, thus costing them hours to report and resolve network issues,” said James Bear, president and CEO of Veriflow, a California based software company. So, what are five reasons a network can fail, and how do you avoid them? Human error is a factor in network outages, according to nearly all of the 315 IT pros surveyed (97%.) But how large a role people play in outages varies according to respondents. About half of respondents (52%) reported human error leads to few network failures, while a quarter of them (18% – 25%) find human error leads to frequent or “most” outages. 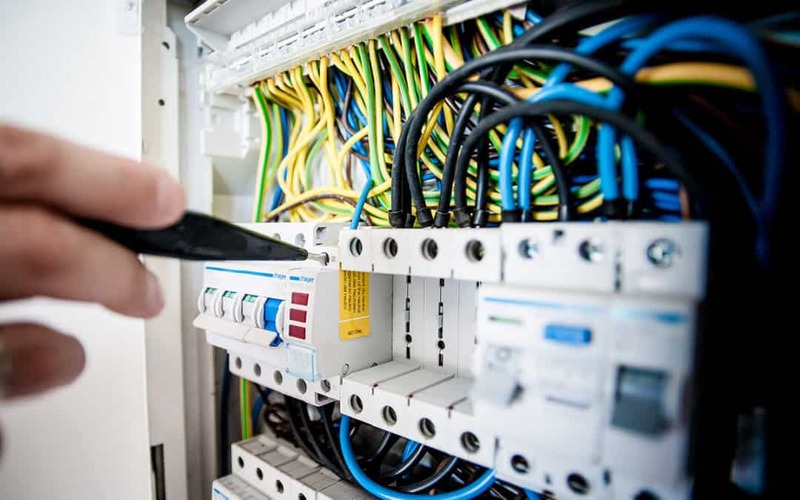 Most important of all the findings, however, may be that just a fraction (3%) of the network pros said they catch and correct human mistakes before downtime occurs. Just 6% of respondents said network monitoring tools predict between 90% and 100% of network performance issues and outages. Another 15% said tools predict 70% to 90% of network problems, and 13% said tools predict 50% to 75% of those glitches. The rest of the respondents said that monitoring tools predict less than half of all network bugs. Few IT pros in the survey said the time necessary to detect and resolve a network issue once reported to them is less than an hour. Most replied that the process takes longer – anywhere from one to five hours. For a big company with a large IT staff and commensurate budget, accepting a “suboptimal” solution for network management may be only a matter of lost productivity, which may or may not fall to the bottom line. But for many businesses, frequent, prolonged network outages can have implications greater than inefficiency. For retail organizations with a high proportion of e-commerce revenue, downtime can mean lost sales. For financial services firms, outages can delay time-sensitive transactions. For healthcare providers, sluggish network performance can lengthen wait times for patients, leading to caregivers seeing fewer patients. In this case, the consequences can be twofold – reductions in the quality of care and revenues from payers. Regardless of size, most businesses don’t settle for sub-optimal internal solutions. Instead, they engage IT Managed Service Providers (MSPs) like ANAX that specialize in remote monitoring and management – not only for networks, but desktop computers and mobile devices, too. Our team of IT Services experts can create custom IT Solutions for your business, no matter the size. Call us (702) 478-9000 or message us HERE to schedule a consultation today!